Air Force Reserve Brig. Gen. Scott Goldstein, a former chief technologist and head of the advanced missions solutions group at Dynetics, will join Ensco as chief strategy and technology officer effective Nov. 30. Ensco President Boris Nejikovsky has informed employees in an email that Goldstein aims to tailor the Falls Church, Virginia-based company’s technical products and services portfolio to market needs in his new position. “I am looking forward to working with him… to pursue multidisciplinary strategic opportunities toward achieving long-term technology-driven growth for the company, ” Nejikovsky stated. Goldstein has previously held executive positions at QinetiQ‘s North American business, ManTech (Nasdaq: MANT), Science Applications International Corp. (NYSE: SAIC) and Massachusetts Institute of Technology’s Lincoln Laboratory. He is currently the mobilization assistant to the commander at the Air Force’s Space and Missile Systems Center in Los Angeles and a member of the Joint Special Operations Command’s science and technology task force. The veteran also has more than 30 years of experience, including his support on multiple acquisition, space and cyber programs within the Air Force Research Laboratory and the Defense Department. 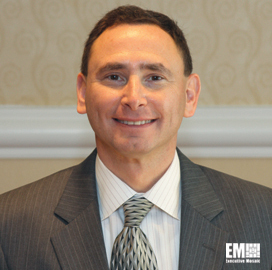 Goldstein has written more than 100 refereed technical papers and holds four patents in spread spectrum communication and adaptive processing technology for signal detection.